We are very excited to introduce you to our new project, Shinglenook -- a historic beach home located at 50 Central Street in Narragansett, RI. Our family has deep ties to the small town in Rhode Island. Four generations of family members have grown up spending summer there at the beach. For 30 years we dreamed of owning our own home in the historic Pier neighborhood. This March we closed on Shinglenook and our dream finally came true. This Victorian, shingle-style home was built in 1887 by architect George A. Freeman for a man named Brander Matthews, Columbia University’s first dramatic literature professor. Thankfully, most of the original architecture remains intact -- the living room, dining room, and porch are all very large and were designed for entertaining. 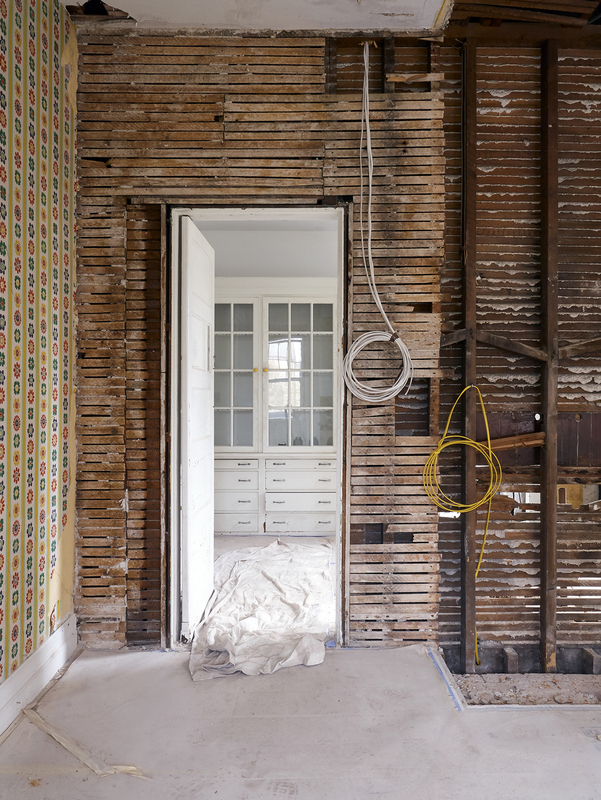 The goal of our restoration has been to preserve the soul of the house and maintain its’ sense of history while also introducing new, more modern elements. Steve Cook, our partner and general contractor, has been working nonstop in close contact with the historical society since the day we closed. The “bones” of the home have been completely upgraded. We’ve installed new central heating, air conditioning, electrical, gas, and plumbing. All the walls have been re-plastered and painted. We’ve preserved the original tiles in the four functional fireplaces and cleaned the original hardwood floors. To freshen the exterior, we’re installing new windows, new roof and exterior shingles, and a screened in porch. We'll furnish the place with all new beds and a mix of vintage, family pieces and new, more modern decor. Bolt Textiles, Noel’s textile company, has designed a new, edited Spring line of fabrics to complement the furnishings with drapery and upholstery -- it's called 50 Central. This summer, our family will stay in the home for the 4th of July holiday and we expect to finish with construction and be ready for guests by September 1st. The place sleeps up to 20 people, with 9 bedrooms and 4 bathrooms, making it an ideal getaway for family reunions of multiple generations. Of course, coming from such a big family ourselves, we've designed every element with big groups and families in mind. We hope that you'll continue to follow our journey! 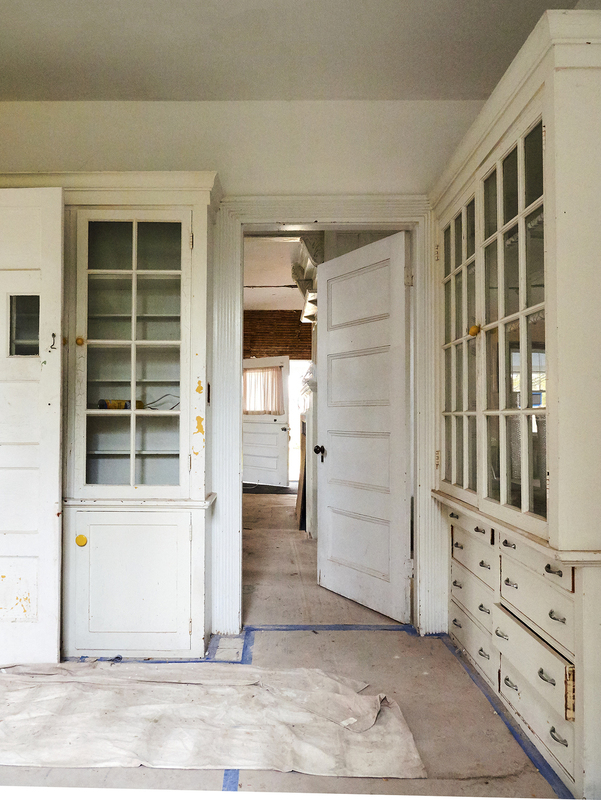 ← Preview the interior finishings!